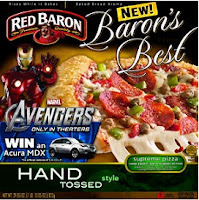 $1 off Red Baron Pizza Coupon! Buying frozen pizza is almost always less expensive than getting delivery or take out...save even more using this new $1/1 Red Baron coupon! Use zip code 84121, under Foods to find it fast.